Our late Triska, as he (apparently) pondered the cover of Maneki-neko, February 11th, 2011. Thanks for running the Cats Sleep series, which inspired me to look around for some misplaced jpgs, including this one. 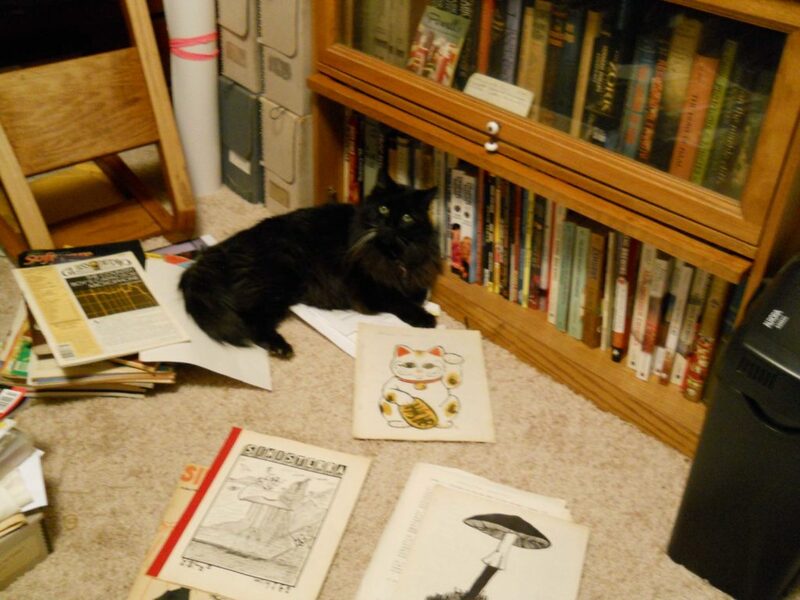 This entry was posted in Cats Sleep on SFF and tagged Steven Johnson by Mike Glyer. Bookmark the permalink. Aww, what a pretty cat. You must miss him. It´s good that this wonderful guy is not forgotten!